The Vallee Foundation joins the family, friends and collaborators of Jerrold Meinwald (VVP 1997) in mourning his recent death from cancer on April 23, 2018. He was 91. Dr Meinwald was the Goldwin Smith Professor of Chemistry Emeritus at Cornell University and a 2014 winner of the National Medal of Science. His research concerned molecular rearrangement mechanisms, the synthesis and reactions of highly strained ring systems, natural product structure and synthesis, anesthetic stereochemistry, and insect chemical ecology. Jerrold Meinwald was one of the Vallee Foundations earliest Vallee Visiting Professors. He took his VVP sabbatical in Bert Vallee's lab in October/November 1997, shortly after the Foundation was established, and used the time to write part of a book and research manuscripts, as well as a grant application. While his background in organic chemistry and chemical ecology had little overlap with Bert Vallee's biochemical and biophysical research, Meinwald had good interactions with a number of colleagues in the Chemistry Department in Cambridge. 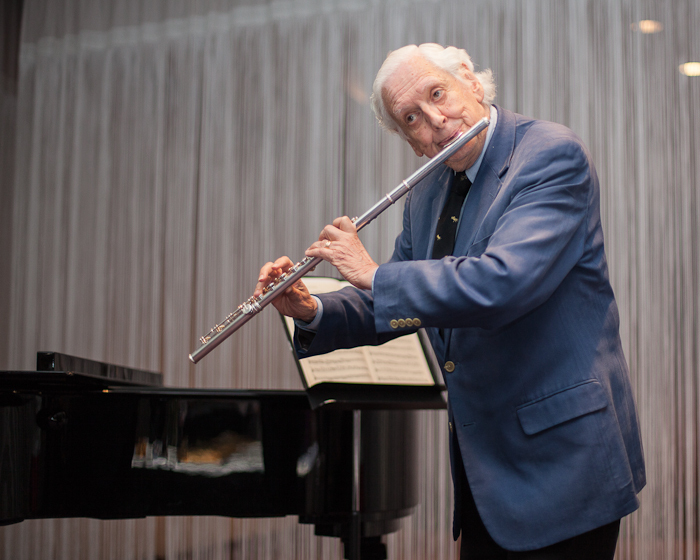 Meinwald was a frequent delegate to Vallee Foundation symposia and meetings and often brought his flute with him. 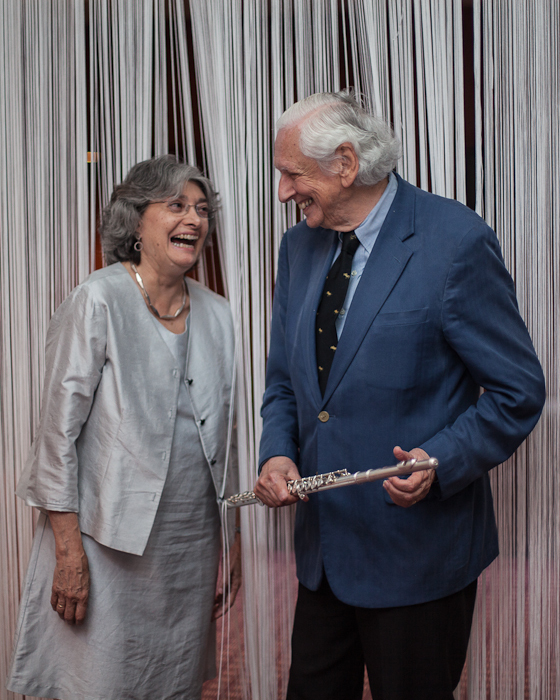 Those in attendance at the 2012 symposium in Iceland will remember the delightful concert he and his wife, Charlotte Greenspan, gave one evening. See his obiturary in the Cornell Chronicle.